In the name of our whole crew, we welcome you enthusiastically to the Best Western Premier Slon. The Best Western family enthusiastically welcomes you to the Best Western Premier Slon! Spa Hotels are easy to find, but they are not all created equal. Make the right choice and book a room at this handsome hotel to enjoy all of its features and benefits! Our cosy hotel is conveniently situated a short distance from the station. Hotel guests can take advantage of our convenient car parking space. Please request when making a booking. 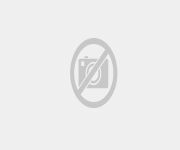 A special car lot for bicycles and motorcycles is available. Free for you Hotel guests receive a free bottle of water. The hotel provides daily newspapers, for free, for its clientele. There is free Wi-Fi in public areas, as well as free use of the hotel's internet terminal. Make yourself at home Leave valuables in the hotel safety deposit box. Our quaint provides a lift for guests of the hotel. The helpful team at the reception can provide you with more information on our in-house car hire service. Culinary greetings from the kitchen Aside from the seats outside our restaurant and café-bistro also have meals for both diabetic and vegetarian visitors. Where you will stay Our visitors appreciate the useful blow-dryer, the minibar filled with a large selection of beverages and the easy-to-use air conditioning system included in every single hotel room. There is a strong box, a hand-held blow-dryer, a radio receiver as well as a writing desk in each room. Highlights, like pay television for visual and audio entertainment, are provided in your room. The TV set in your room has internet connection. All of the hotel rooms feature international newspapers. Each hotel room features a telephone. A refrigerator is included in your room. Coffee making facilities are available in your room. Bathrooms in the hotel feature a shower, a bathtub and a hairdryer. For the comfort of our guests, all hotel windows are soundproof. Relax or be active Find tranquillity and relaxation in the sauna and hot tub. Business hours of reception: Every day:	from 00:00 to 00:00 . Elegant and comfortable, located in the heart of the city centre and just a few steps from the old part of the city, business district, governmental areas and major sights. Spacious rooms, complimentary buffet breakfast and WIFI, business centre… Recently renovated rooms (28-35m2) and suites (40-70m2) are air-conditioned and have a bathroom with bathtub and bidet, large LCD screen and working desk, phone, mini bar, safe, coffee & tea making amenities and free of charge WIFI. 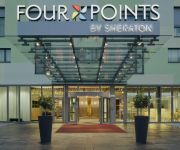 The hotel provides a free business centre, 20 conference rooms, an international a la carte restaurant, Grand Café, a top-floor indoor swimming pool, a sauna and fitness area, exchange office, a newspaper and souvenir shop, a fashion boutique, a jeweller and a hairdresser. Secured garage is available on spot. Enjoy the excellent service and comfortable atmosphere in the heart of the city centre. Business hours of reception: Every day:	from 00:00 to 00:00 . 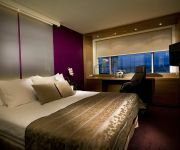 M hotel Ljubljana offers 154 bright, calm, elegant and air-conditioned rooms. All rooms have free access to Wi-Fi, LCD TV with international channels and soundproof windows and doors. City center and main tourist attractions in Ljubljana can be reached by foot or by public transportation. Bus station is next to the hotel and center can be reached within 5 minutes. Hotel offers free parking and is easy reachable by car. Ljubljana ring road is 5 minutes drive away, therefore airport and all major tourist attractions in Ljubljana and Slovenia are close by. Shuttle service to airport and other tourist attractions can be also arranged at a fee. During summer guests enjoy lovely summer terrace, where they can relax after long day. Business hours of reception: Every day:	from 00:00 to 00:00 .
Business hours of reception: 24 hour Superior room availble upon request - 35,00 € supplement per room Business room available upon request - 20,00 € supplement per room Extra bed available upon request - 35,00 € supplement Business hours of reception: Every day:	from 00:00 to 00:00 .
Business hours of reception: 24 hours The City Hotel Ljubljana is ideally located for both business and leisure travellers. 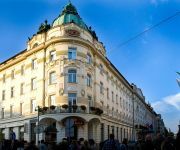 It is at a stone's throw from the Ljubljanica River which is flanked by charming, pedestrian cobblestone lanes hosting an array of cafes, restaurants and bars with the Ljubljana castle as background view. The bus and train stations are about 500 m away and even the motorway and the airport can easily be reached. 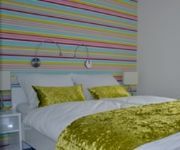 All rooms have recently been renovated. They provide bathroom, television, direct dial telephones, safety and WLAN Internet access. 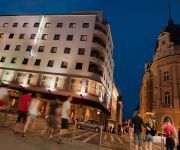 You will surely enjoy our rich breakfast buffet and then make the most of the day in our lovely little city which is full of fantastic Art Nouveau buildings dating back to the 1920's and 1930's, tranquil and elegant streets and squares with shops and cafes exuding the atmosphere and life style of a capital in Middle Europe. Business hours of reception: Every day:	from 00:00 to 00:00 . Hotel Medno is placed in a peaceful green environment. If you wish to rest your body and soul and run away from the busy city vibe, this is the place to be. Hotel Medno is surrounded by forest on one side and on the other side you have a view of turquoise river Sava and snowy Julian Alps and Karavanke Mountains. This is a place caught between the city and the province. It is 9 km away from the center of Ljubljana. Directly next to the hotel there is a main road towards Kranj and furthermore Austria and Italy. The airport of Jože Pučnik is only 15 km away. 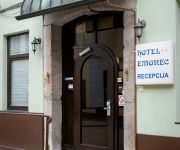 Hotel Medno offers 87 beds. The rooms are from different categories, so everybody can find a suitable one. After a long stressful day you can spoil yourself in massage hot tubs and saunas or relax under the arms of the masseuses. Business hours of reception: Every day:	from 00:00 to 00:00 . 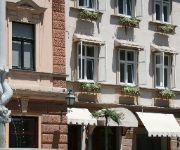 Nestled in the historic town centre of Ljubljana, Antiq lies on a charming cobblestone street overlooking the romantic Gornji Trg square. This beautifully modernized historic building, houses 16 spacious and beautifully decorated guest rooms. Once a location for the ancient Roman workshop (fabrica), the boutique house is a protected historical monument that carries a title of the House of Tradition and is a member of the Historic Hotels of Europe.Rich with history the Antiq has been in the centre of several important archaeological discoveries that link its location to the ancient Roman colony of Emona. Situated at the footsteps of the Ljubljana castle hill, the Antiq is surrounded by a vast array of small boutiques, cafes and restaurants and is just a short walk away from the banks of the Ljubljanica river and the main tourist attractions.Each guest room is matchless in its design and layout due to the unique architecture of the building. All 16 spacious bedrooms are equipped with the minibar, telephone, TV, hairdryer, air-conditioning and offer wireless or wired internet connection. 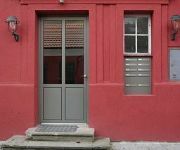 Several guest rooms have an outside terrace or a separate entrance to the summer garden and offer beautiful views of the Ljubljana castle or the romantic Gornji Trg Square. The hotel is perfectly suited for families as it features two duplex residential apartments, with their own private terrace. Guests can take advantage of the complimentary WiFi access throughout the hotel or use the computers at the business desks free of charge any time of the day. The reception is available 24 hour and a travel desk, where a guest can be assisted with any information. Business hours of reception: On business days:	from 07:00 to 21:00 . 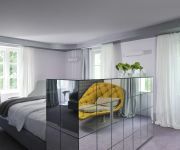 The exclusive Antiq Palace Hotel & Spa is the most recent and equally most unique addition to Ljubljana’s accommodation offering. This 16th century former noble residence enjoys the premium location in the heart of Ljubljana's historic town centre and is the ideal choice for families as well as business and leisure guests looking for a unique and relaxing experience. Antiq Palace Hotel & Spa boosts 13 suites and residential apartments, 3 unique conference & banqueting suites, executive business centre, luxury day spa, leisure facilities, two bars and courtyards as well as several relaxation areas by the open fire - all in the heart of the historic town centre and just a stone-throw away from the business district. Business hours of reception: Every day:	from 00:00 to 00:00 . The unique tourist accommodation facility Dvor Tacen, is located in Tacen under Šmarna gora (Šmarna Hill), stands by the Sava river and is only a stone’s throw away from Ljubljana. 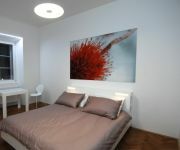 It is perfect for you, for with us you will feel comfortable and domestic. Our capacities are practically located in Ljubljana, but are still in an oasis of peace and nature, where you have the opportunity for recreation, cycling or hiking. Free wireless internet is guaranteed in every room, as well as in the cafe. All rooms are equipped with air-conditioning, a queen-sized bed, a bathroom, cable television, a mini bar, the possibility of using a safety deposit box, and provide beautiful views of Šmarna gora and the Sava river. In the beautiful, spacious rooms equipped with large bathrooms, you will be able to enjoy all the comfort you need. Dvor Tacen offers its guests an intimate and relaxed atmosphere, at a level which they usually only enjoy at home. All the while, its luxury services enable guests’ experiences to be comparable with the hotels of the highest rank. Business hours of reception: On business days:	from 07:00 to 22:00 On the weekend:	from 07:00 to 22:00 . Our entire staff would like to gladly welcome you to the Hotel Mrak. You will find ample parking for your car and secure parking for your two-wheeler when staying with us. There is free Wi-Fi in public areas, as well as free use of the hotel's internet terminal. Make yourself at home You can leave articles of value at our safe at our hotel's reception. Our comfy hotel offers a lift for its clientele. Our impressive lobby will start your trip off right. Culinary greetings from the kitchen For a quick bite to eat go over to our hotel's restaurant that offers both vegetarian as well as wholesome whole grain meals. Where you will stay Amenities, for example an office table, a hand-held hair-dryer, a strong box and a radio, are part of every hotel room. Your well-appointed hotel room features a television set with cable TV. You will enjoy the internet TV found in your room. Each hotel room features a telephone. Next to the shower in your bathroom you'll find a blow-dryer. Business hours of reception: Every day:	from 00:00 to 00:00 . In the immediate vicinity of the University Medical Centre and the Meksiko parking garage stands new business complex with Hotel Meksiko, restaurant, pharmacy and other service activities. The complex fits into the wider area of the University Medical Centre and at the same time take its place alongside the historic residental complex designed by architect Vladimir Šubic. The 50 well appointed air conditioned rooms are always at the right temperature for you. The modern facilities in all our rooms such as desk, telephone, cabel-TV and wireless internet access can be used at all times. Children are welcome in the hotel - if you need an extra bed/cot, please let us know when reserving your room. You can call on the knowledgeable reception staff whenever you need them for an assistance and a trusty wake up call. Business hours of reception: Every day:	from 00:00 to 00:00 . We would like to proudly welcome you to the Emonec. Our hotel is located very near the station (just 0,93 km as the crow flies). If you need a car, you can rent one directly from the hotel reception and use hotel parking during your stay. Hotel guests can take advantage of our convenient car parking space. Please request when making a booking. A secure area for your bicycles and motorcycles is available. Access to the WiFi connection is available from the public areas in the hotel. Make yourself at home The reception desk, which is manned at all times, also has a safe. We have video surveillance in our lobby. A special storage room for your ski equipment is provided. Where you will stay Our rooms feature satellite TV. In all rooms an easy-to-use phone is included. Business hours of reception: Every day:	from 00:00 to 00:00 . We would like to gladly welcome you to the Stil. Apartment Hotels abound, but the Stil is a great choice to fulfill all of your needs and expectations. Book with us and find out! Ask our helpful reception team for details on car hire and feel free to use hotel parking during your stay. A secure area for your bicycles and motorcycles is available. Free for you During your stay, you can park for free at the hotel. WiFi can be found in the hotel's public areas. Make yourself at home The competent team at reception is ready to cater for your every need 24/7. We have video surveillance in our lobby. A garden terrace is also provided. Where you will stay Satellite TVs are provided in each of the hotel rooms. For your comfort The hotel includes a convenient landline in every single hotel room for you to keep in contact with your loved ones. There is a kitchenette and a fridge in our guest rooms. After you get out of the shower, use the hand-held hair-dryer provided to dry your hair off. Our hotel has soundproof windows for your enjoyment. Business hours of reception: Every day:	from 00:00 to 00:00 . Our whole staff would like to enthusiastically welcome you to the Vila Minka Aparthotel. Apartment Hotels are easy to find, but they are not all created equal. Make the right choice and book a room at this handsome hotel to enjoy all of its features and benefits! Free for you You will receive a free welcome drink on arrival. Free parking is available at the hotel. Stay connected during your stay, you will have access to Wi-Fi in public areas and an internet terminal, which are of course free of charge. Make yourself at home Leave valuables in the hotel safe. Video surveillance is operating in the lobby area. Our hotel also features a garden terrace and rooftop garden. A room to store your ski equipment is provided. Your little ones will feel at home in our hotel, which has its own play area. Children or the entire family can be accommodated in non-smoking rooms. Please indicate your preference when making your booking. Where you will stay Every single room at our hotel is equipped with a cable television set. In every room you will also find satellite TV. All the hotel rooms include a safety deposit box and a kettle for the morning cup of coffee. In each hotel room a convenient telephone is available. You'll also find a radio in all of our rooms. During your stay we have a coffee maker, a fridge, a microwave and a kitchenette in each of our guest rooms. Bathrooms in the hotel feature a shower, a bathtub and a hairdryer. Your bathroom's complimentary bathrobes are at your ready when you get out of the shower. Your room's bathroom also provides a hand-held blow-dryer. Business hours of reception: Every day:	from 00:00 to 00:00 . We would like to cheerfully welcome you to the Penzion Pod Lipo. There are ample parking spots for our hotel guests. During your stay, you can park for free at the hotel. Make yourself at home Video surveillance is operating in the lobby area. The terrace in the garden provides a great relaxing area. Where you will stay Desks are a standard comfort in each of the rooms. You will find cable television with plenty of entertaining programmes in each and every hotel room. The international newspapers found in all of the rooms are really popular among our hotel's guests. For your amusement DVD-players are provided in all of our rooms. Next to the shower in your bathroom you'll find a hand-held hair-dryer. Business hours of reception: On business days:	from 08:00 to 22:00 . Our whole team would like to happily welcome you to the Marta Studio. Apartment Hotels are easy to find, but they are not all created equal. Make the right choice and book a room at this handsome hotel to enjoy all of its features and benefits! The hotel provides plenty of parking spots for its visitors. For the convenience of our hotel quests, car parking space is available at the hotel on request. During your stay, you can park for free at the hotel. Wireless connection to the internet is available in the hotel's public rooms. Your valuables will be secure in the safety deposit box at reception. Where you will stay Take full advantage of the temperature control via AC that is available in all the rooms. All of the rooms have satellite TV. There is a kitchenette, a refrigerator and a coffee maker in our guest rooms. Business hours of reception: On business days:	from 10:00 to 23:00 On the weekend:	from 10:00 to 23:00 . Our 3-star Alo Rooms Vrbinc B&B has 11 comfortable rooms. The comfortable B&B has ample free parking spaces for guests. A safe is available at the reception for your valuables. If you require a rental car during your stay, our staff will be happy to help. The air-conditioned rooms have all you need for a comfortable stay including cable TV, WI-FI internet access, a hairdryer. Our B&B also offers ONLY comfortable non-smoking rooms. Our restaurant chef looks forward to your visit during your stay. Small family boutique hotel located in a peaceful area. Offering hotel guests free car parking. Furnished in modern-classic style with the latest technologies. Ideal for families offering family rooms, suites and apartments with kitchenette. 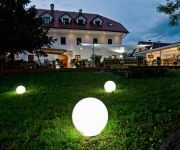 Close to Ljubljana's biggest park Tivoli, City Zoo, 15 minutes from town center, next to famous restaurant offering a large selection of typical Slovenian specialties. Our guests can choose the latest souvenirs or regional gourmet products in our little shop to carry away stories of Ljubljana, Slovenia. Nearby grocery store, bar and city bus stop right in front of the hotel. 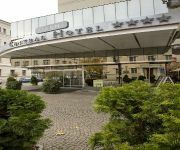 Close to the connection with the Ljubljana ring road, ideal for business travelers, tourists and especially families. Offering also airport and main bus/train station transfer. Modern rooms in bright colors with beautiful wallpapers provide comfort and pleasure. Featuring air conditioning, flat-screen TV with satellite channels, telephone, free Wi-Fi, minibar and safe in each room. We offer our guests a breakfast buffet, and also part-time or full menu. Business hours of reception: On business days:	from 07:00 to 20:00 On the weekend:	from 07:00 to 20:00 . 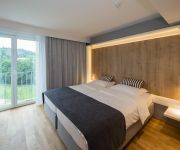 Featuring a business centre with meeting facilities and a restaurant serving traditional and international specialities, the stylish G Design Hotel offers elegant rooms with free Wi-Fi in the quiet outskirts of Ljubljana. Free parking is provided on site. LCD cable TV, air conditioning, minibar and desk are standard facilities in all accommodation units. Fitted with bathrobes, slippers and free toiletries, the private bathroom comes with shower or bath. A bike route starts right by the hotel, and a bus stop with links to the city centre can be found in front of the G Design. Restaurants, cafés and bars can easily be reached in the surrounding area. 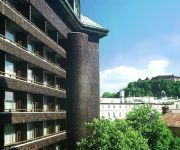 G Design Hotel is within 5 km from the centre of Ljubljana and its most prominent features like the Prešeren Monument and the historic Ljubljana castle. 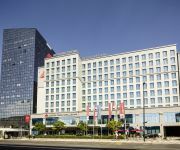 Bus and train stations can be found in the city centre, while the Ljubljana International Airport is 25 km away. Business hours of reception: On business days:	from 07:00 to 23:00 On the weekend:	from 07:00 to 23:00 .